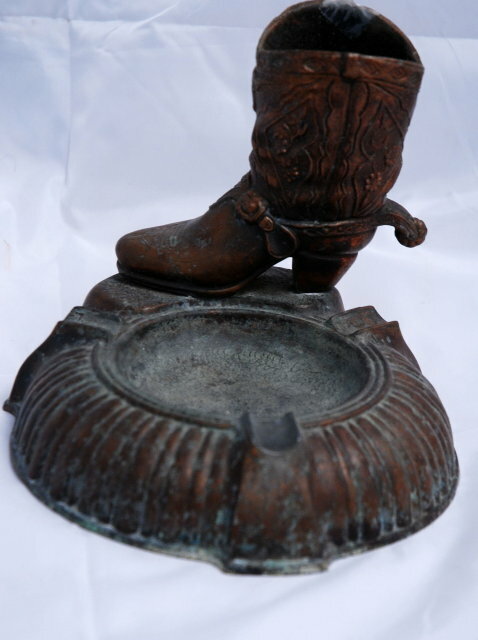 Bronze Cowboy Boot Cigarette Holder & Ashtray. It is very old and cool. 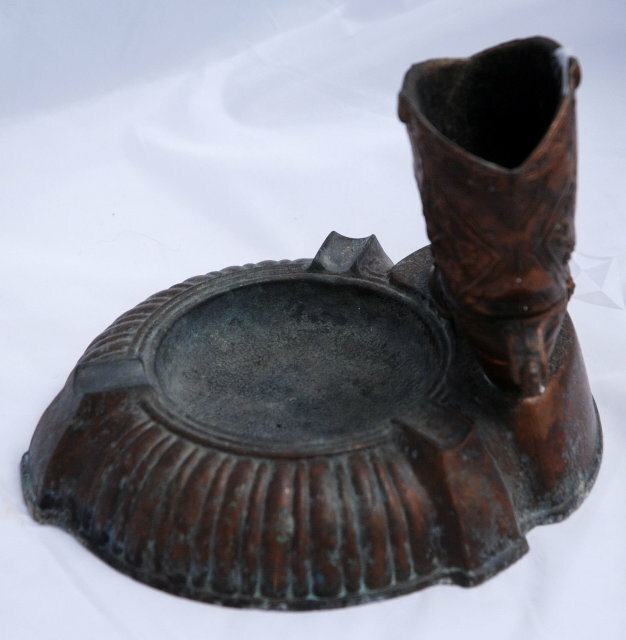 It appears to be bronze but it could be copper with a dark patina. Through some of the thick tarnish I see bit of shinny copper. Either way it is cool and as far as I am concerned copper and bronze are on a par. The patina is wonderful. The condition is very good. There are no dent of dings. There is however heavily tarnish and "imbebed ashes" . 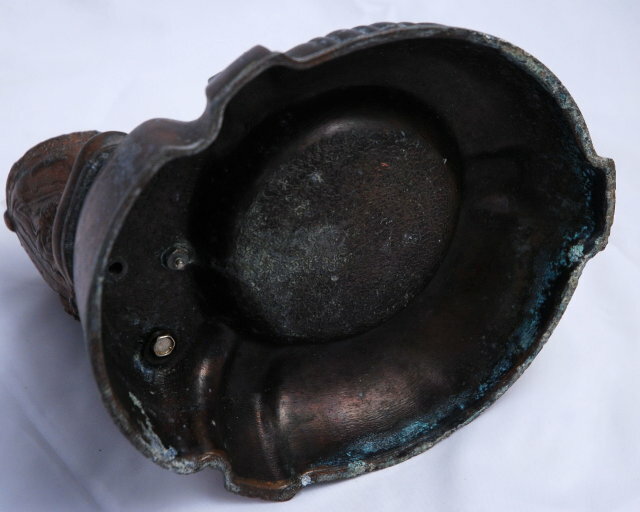 Some of the patina which is actually tarnish is greenish. 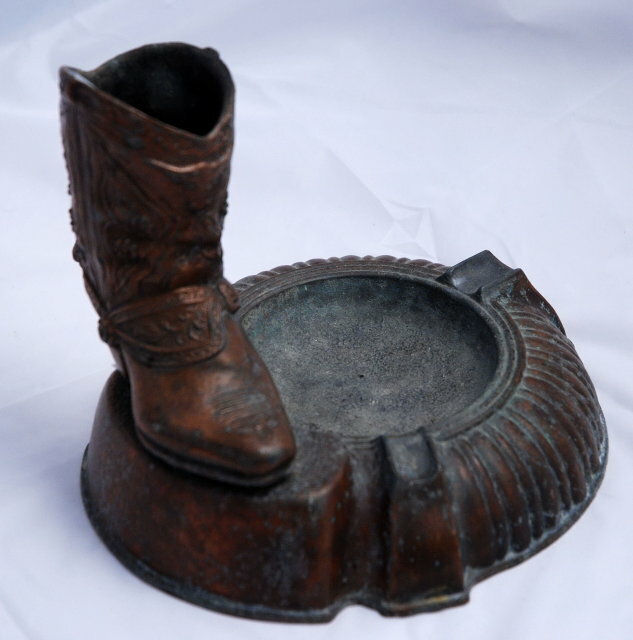 Items Similar To "Bronze Cowboy Boot Cigarette Holder & Ashtray * PRICE REDUCTION*"